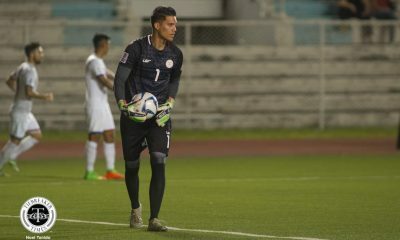 League-leaders Global FC vented their ire at having ended the first round with a draw to their “sister team” Forza FC, as they piled six goals in either half and opened their second round of the 2016 United Football League in style, Wednesday, at the Rizal Memorial Football Stadium. With this in mind, the People’s Club went hot right out of the gates. It took a while for them to get the scoring going, but in the 13th minute, Hikaru Minegishi blasted the ball past Abu Ibrahim. Four minutes after, Paolo Bugas found himself free on the right side and sent a lovely cross into the box for Andreas Esswein to pounce on and double the lead. Global continued to pile up the pressure, which Forza could not stop. In the 22nd minute, Minegishi doubled his tally from the same spot where he had scored the opening goal. Six minutes from this goal, Omid Nazari finally found the back of the net off Misagh Bahadoran’s pass. The men in blue did not stop there, as they registered two more goals as the half was about to close. Bahadoran joined the scoring spree with a close-range shot off Matthew Hartmann’s assist. In the extension, Nazari got Global’s sixth of the match with some nifty individual effort, getting past three defenders on his way to Ibrahim’s goal. In the second period, Global FC started the second period the way they closed out the first. Two goals in quick succession made it 8-0 for the visiting side. Hartmann took one of his own at the 47th minute, before Bahadoran doubled his own production, swiping the ball off Princeton Josue. After that, Global FC wisely controlled the possession without taking a run towards the opponent’s final third. The visitors, however, took the opportunity when the presented with the chance to attack. In the 68th minute, Nazari completed his hat-trick to end the long silence. 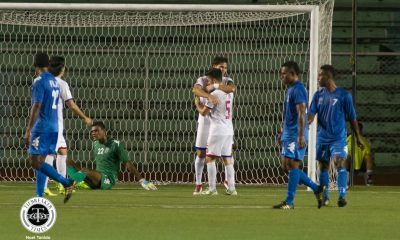 Eleven minutes after, he and Bahadoran connived for a wonderful goal, the squad’s 10th goal of the match and Bahadoran’s third. 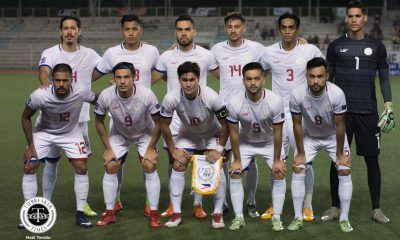 Bahadoran was not done yet, as the Global skipper snared his fourth goal in the 83rd minute, finishing the Hartmann delivery with a header past Ibrahim. Two minutes after, Minegishi closed out this emphatic win the way he had opened it, getting a hat-trick in the process. Global FC stake their unbeaten record once more when they play against Stallion FC on Sunday, April 14 at 4pm. 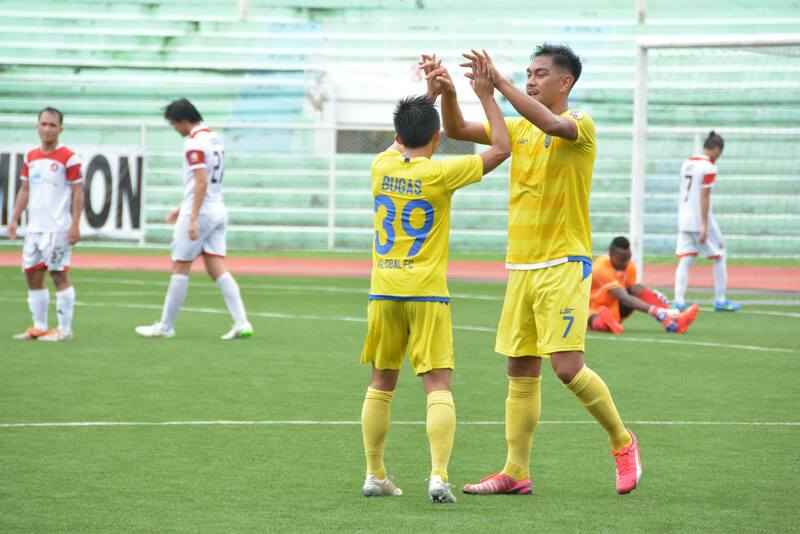 On the other hand, Forza FC hope to bounce back as they meet Green Archers United in the preceding game at 1:45 pm. Matches on Sunday will be at the Rizal Memorial Football Stadium.